The power of education is no secret. It builds confidence, removes barriers, opens eyes and doors. In the philanthropic world, there are countless organizations dedicated to improving educational opportunities for people in developing countries. Ecuador is not one of those countries. Relatively wealthy compared to many of its neighbours and other countries around the world, Ecuador is often overlooked by the international community. 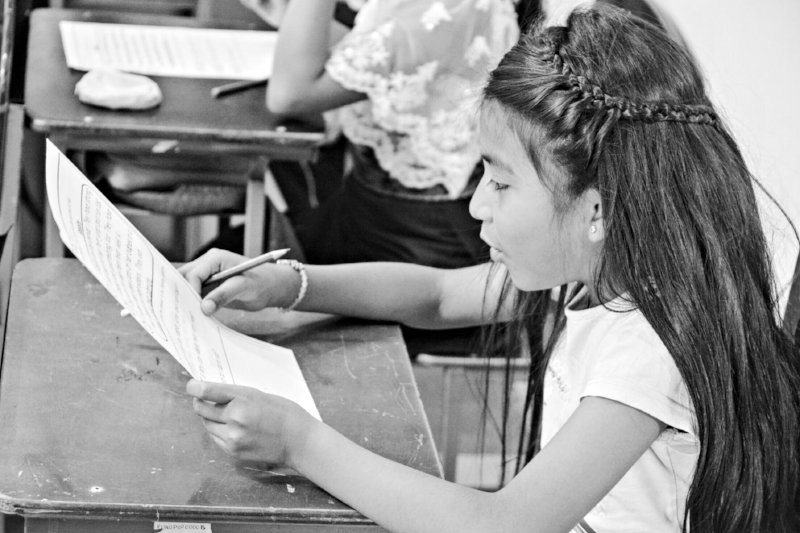 But in Ecuador, millions of people live in poverty, 1.5 million of whom live in extreme poverty. In communities like Cotacachi, most people have only elementary-level education – a major barrier to obtaining professional jobs or efficiently running their small businesses, thus preventing them from lifting themselves out of poverty. Uno a Uno exists to change that. When Pierre Etienne Banville and Candace Cho Banville completed a microfinance internship in Cotacachi in 2014, they fell in love with the community’s people – warm and welcoming, smart and spirited, but stymied by their lack of education. Seeing the potential of Cotacachi’s people, Pierre Etienne and Candace founded Uno a Uno to empower the community they’d come to love through the power of education. Since then, Uno a Uno’s innovative interdisciplinary educational programming has opened new opportunities for learners of all ages. A community within a community, the centre has become a beloved second home for kids, and a beacon of hope for older learners wanting to improve their family’s circumstances.